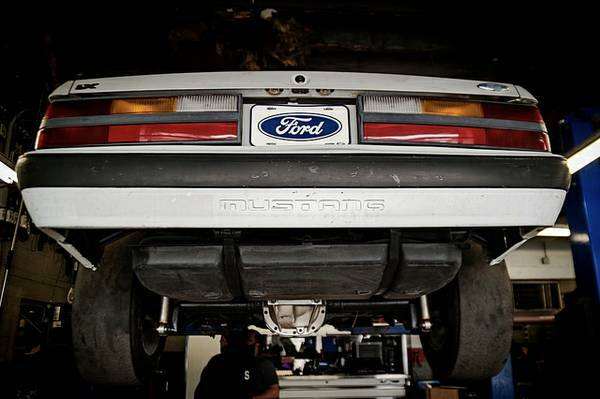 Modified Ford Mustangs are a dime a dozen so it takes a lot to come across one that is out of the ordinary. Ford's Thunderbird Super Coupe was available from 1989-1995 with a 3.8 pushrod V-6 huffed on by a Eaton M90 supercharger that was good for up to 230 hp and 330 lbs of torque. 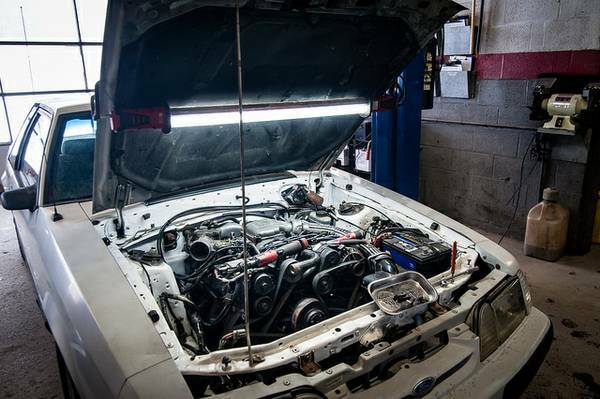 The Ford 3.8 SC engine made good power, but never seemed garner the cult following that the similar displacement Buick Grand National turbo engine did. Today's Stang takes the road less traveled and has the unusual V6 engine swap into the state highway patrol favored notchback body style. 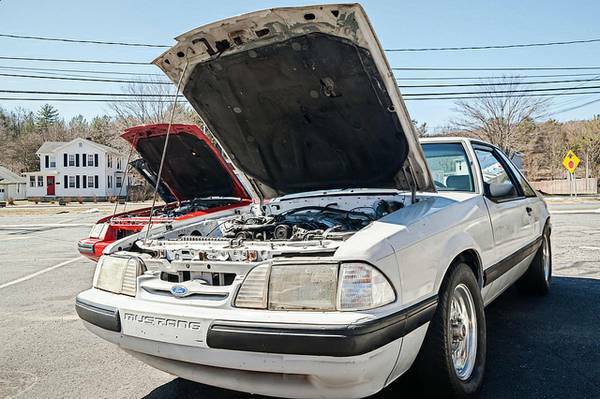 Find this 1989 Ford Mustang Notchback for sale in Beacon Falls, CT for $5,500 via craigslist. Along with the 3.8 supercharged engine is a Tremec T5 5 speed and set of 3.73 gears. The engine has a smaller supercharger pulley and is running a stock super coupe ECU. The seller claims the car runs great as is. The underbody is claimed to be solid and also sports a tubular K frame. It is hard to say what the builder was going for with the car, but this looks to be a decent and unique driver with a reasonable price tag. Cory is still waiting on the Dent Eraser to finish the PDR work on his 1995 Mercedes C36 AMG. Now install the IRS from the TBird, then we can talk. Fantastic torque and sits back farther...sold! I am not much of a Mustang guy but I could talk about this car for hours. I've always thought Ford should do a high performance V6 version from the factory with special emphasis on handling and balance. Props to the builder for going with something unique and cool when slapping in a 302 would have been easier. Looks like it may be parked next to a red SVO? Another lightweight fun mustang.